MURRAY, Utah, May 7, 2017 (Gephardt Daily) — It could have been a whole lot worse. 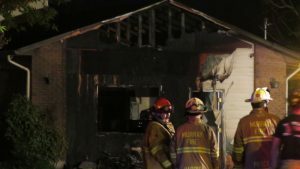 That’s what Murray fire investigators are saying about an early morning blaze that burned a detached classroom area at Almost Home Playcare, a children’s daycare facility located at 140 West Winchester Street. Deputy Chief Jon Harris told Gephardt Daily the fire started in a rubbish collection area outside a converted classroom. He said a lawnmower was also stored there. The flames spread quickly, scorching the exterior of the classroom before spreading into the attic. 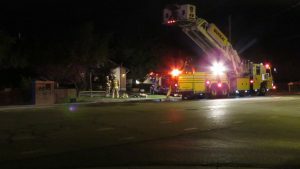 A sprinkler system did its job, however, not only saving the interior of the classroom, but also preventing the fire from spreading to the rest of the daycare. “If those sprinklers didn’t go off and there was nobody around, this would have been a whole different story,” Deputy Chief Harris said. Harris also credited the daycare’s alarm service for placing a call to dispatchers, letting them know that fire had broken out. 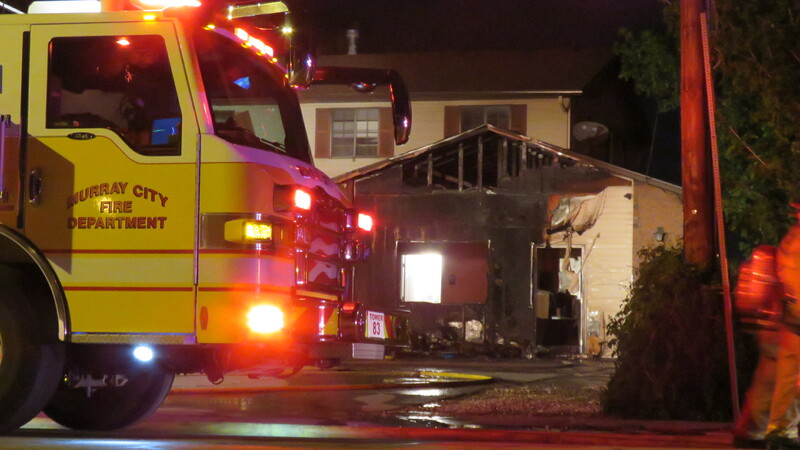 Harris said investigators had yet to determine the cause of the fire although there were no indications of foul play.